March has been a mix of new-to-me game changers and bits that I've had kicking around for a while but only really fell in love with this month — don't you love how that happens? It's like getting something new, only you've had it all along, neglected in some makeup bag or drawer... amazing. 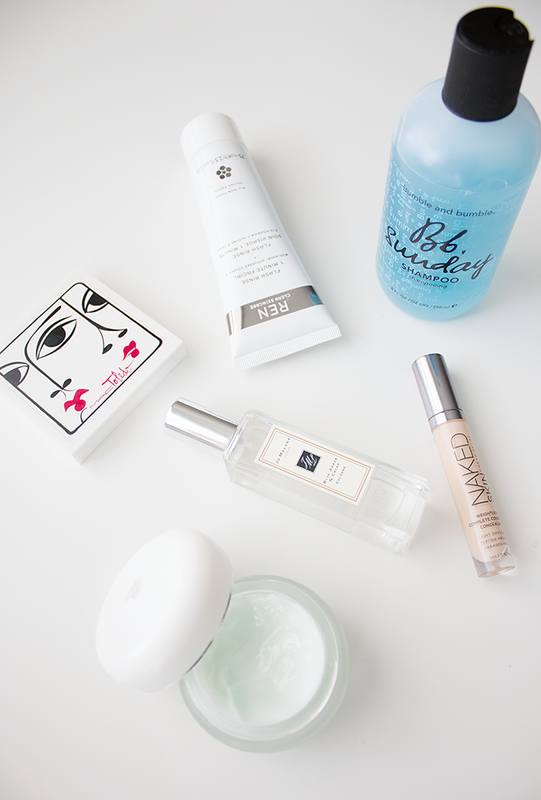 For me, there's two products in particular that I've really come to love this month, despite having had them for a while — hey, better late than never, right? So which two products am I talking about, you ask? 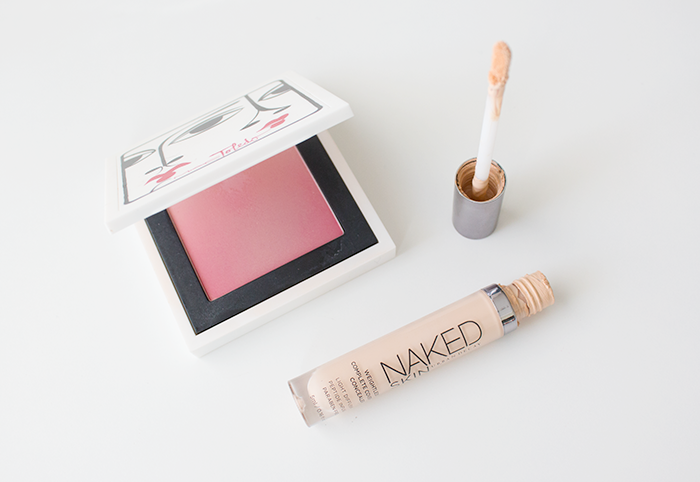 None other than the Mac x Toledo blush ombre in 'Kindergarten Red' and Urban Decay's Naked Skin concealer in 'Light/Warm.' Now don't get me wrong, I liked both these products right off the bat, just not as much as I do now. The blush goes on so smooth and subtly for a gorgeous, barely-there finish, while the concealer is so creamy and blendable as it glides on the skin. I think what was holding me back from truly loving this last one initially was my devotion to Nars' Radiant Creamy Concealer, but once I got past that, I quickly became rather fond of the Urban Decay version. It does really well at covering up spots, and although it's not my favourite under the eyes, it handles the bulk of my skin woes without fail (thumbs up). 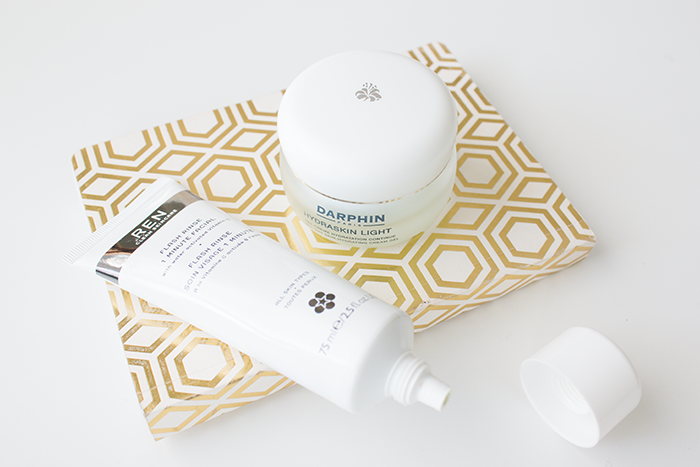 And now for the game-changers... these may be nothing new to you (I'm pretty sure they both have cult fave status), but to me, they are little miracles in a bottle. 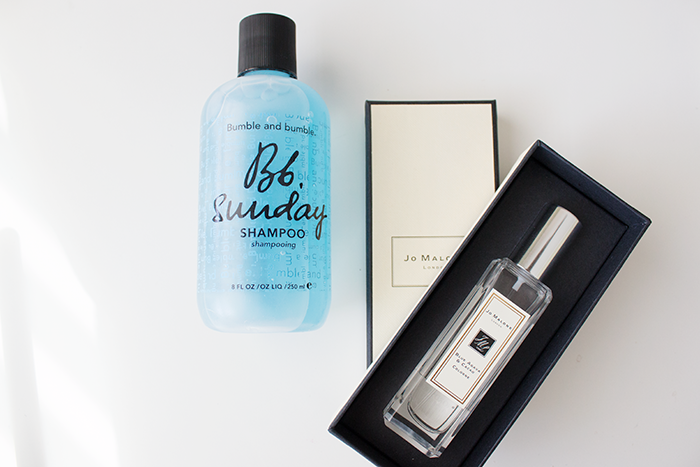 The Bumble and Bumble Sunday shampoo is something that I've been meaning to try for ages, so when I finally caved and picked up a bottle last month, all I could do was kick myself for not getting it sooner. It's hands down the best clarifying shampoo I've ever used, and as someone who uses far more dry shampoo each week than any one person ever should, this stuff has made a huge difference to the look and feel of my hair. It's shinier and a million times softer, and I have nothing to attribute to the change other than this guy right here — magical stuff. Similarly, I've wanted to get into Jo Malone fragrances for what feels like a lifetime, but for whatever reason, I just couldn't choose one. It's literally taken me a couple years to narrow down which one suits me best, and earlier this month, I actually did it... whoa. The Blue Agava & Cacao cologne is my perfect fragrance, and now that I've finally broken my Jo Malone seal, there's no going back — I have my sights set on Pomegranate Noir (and bigger bottles) next!